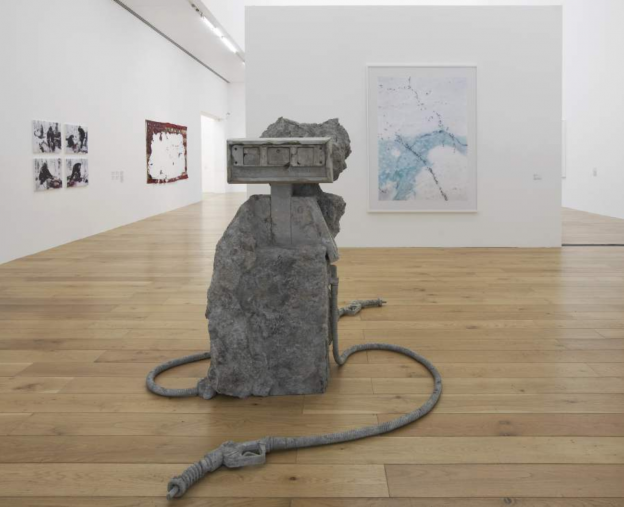 Image: Allora & Calzadilla, 2 Hose Petrified Petrol Pump, 2012 (foreground); Subhankar Banerjee Caribou Migration I, 2001 (background). Sala de juntes. Faculty of Geography and History (Montalegre 6), University of Barcelona. T. J. Demos, “Rights of Nature: The Art and Politics of Earth Jurisprudence”, Rights of Nature: Art and Ecology of the Americas. Nottingham: Nottingham Contemporary, 2015. Wendy Brown, “Apocalyptic populism”, Eurozine, 30 August 2017. Déborah Danowski & Eduardo Viveiros de Castro,“Is There Any Wolrd to Come?”, e-flux Journal, nº 65, October 2015. 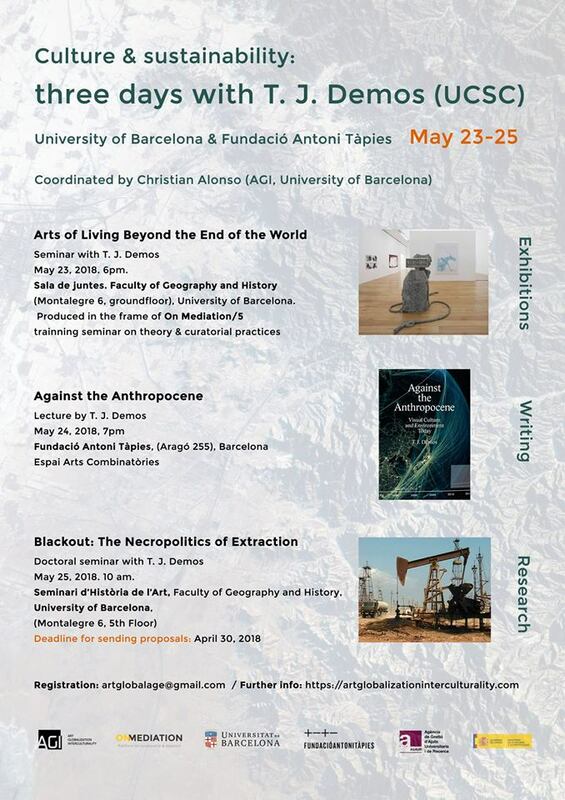 This seminar takes place within the framework of the three-day event “Culture & sustainability: three days with T. J. Demos (UCSC), organized by the Research Group Art Globalization Interculturality (AGI, University of Barcelona) and the Antoni Tàpies Foundation.